How to edit Nikon D550 MOV in FCP, Premiere Pro and Sony Vegas Pro? The D5500 supports a broad range of standard sensitivities, from ISO 100 to 25600, for superior image quality that is stable and reliable, even with shooting in dimly lit situations. You can record 1080 video at a high speed frame rate of 60p - perfect for capturing fast-moving subjects or creating. If you get some 1080P footage in H.264/MPEG-4 Advanced Video Coding, you may need to edit your D5500 video on Mac or Windows editing software. This guide will show you the best way to transcode Nikon D5500 MOV recordings to FCP (FCP X, FCP 7, FCP 6), Premiere Pro (Premiere Pro CC/CS6/CS5) and Sony Vegas Pro (Vegas Pro 11/12/13) editable videos in simple steps. If you're looking for ways to convert Nikon D5500 video to Mac compatible video, you must have come across similar problems, either to play D5500 files on any Apple devices, edit MOV movies in Mac video editors or share D5500 videos to online video sites. Actually, you're lucky since there are many tools that can convert Nikon footage on Mac OS X (including Lion and Mountain Lion). Acrok HD Video Converter not only can convert Nikon Full HD 1,920x1,080 / 60 fps format video to other video format, such as transcode Nikon D5500 MOV to MP4, AVI, WMV, etc. But also it is a good video converter for converting any video format to Mac and Windows editing software editable video with fast speed. FCP(6/7/X), iMovie, FCE, Avid MC, Premiere Pro, DaVinci Resolve, Avid, Adobe Premiere, Sony Vegas, Pinnacle, CyberLink, etc, are included. It's so amazing. 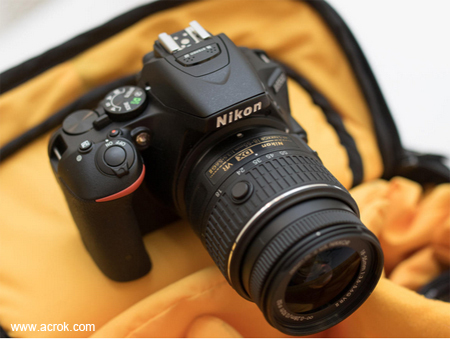 Free download Nikon D5500 Video Converter. How to convert Nikon D5500 MOV on Mac and Windows? Note: For Windows users, please download the Windows version and follow the detailed guide about "How to Convert Nikon D5500 Movies" to finish your work. 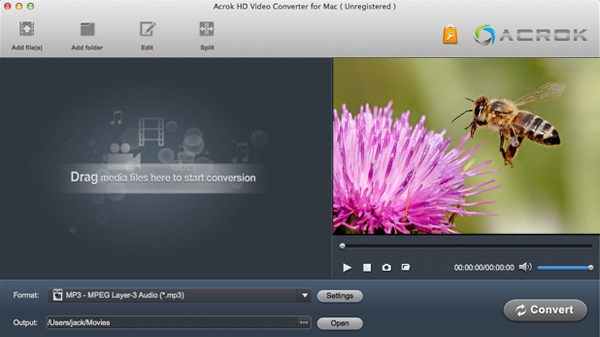 Acrok HD video Converter for Mac aims to make it easy to convert Nikon H.264/MPEG-4 Advanced Video, Canon MXF/AVCHD video, Sony XAVC video, Panasonic MXF video, and more video clips to any video format for editing software, iPad, Apple TV, Samsung, HTC, Acer, Sony, LG and other popular smartphones and tablets. 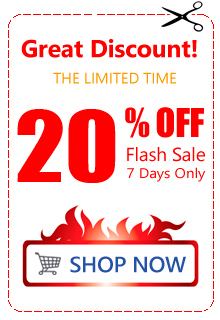 Run Acrok HD video conversion program as the best Nikon Video Converter. Click the "Add Video" button to import source football match into this all-in-one converter app. There are dozens of video and audio types listed in Format drop-down list, and you are allowed to select the preferred format for output. If you are Adobe or Sony Vegas users, you are recommended to choose output format in Editting Software category. 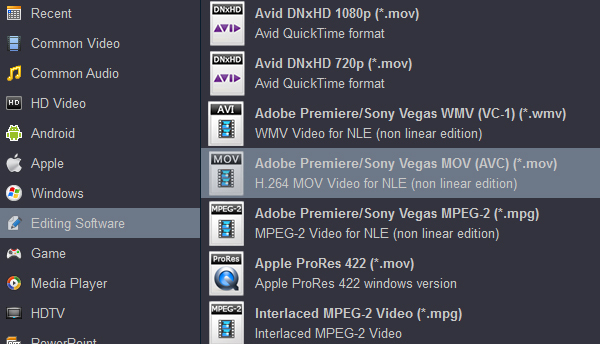 If you are FCP user, you need to click Final Cut Pro then select Apple ProRes 422 (*.mov). Acrok software provided you more features like cropping, splitting into multiple segments, merging into one file, adding subtitle file, and more. Click on the "Convert" button and start to convert Nikon D5500 MOV to Mac/Windows editing software supported video. When the conversion completes, open output folder, locate the generated video file and import these video to your editing software. 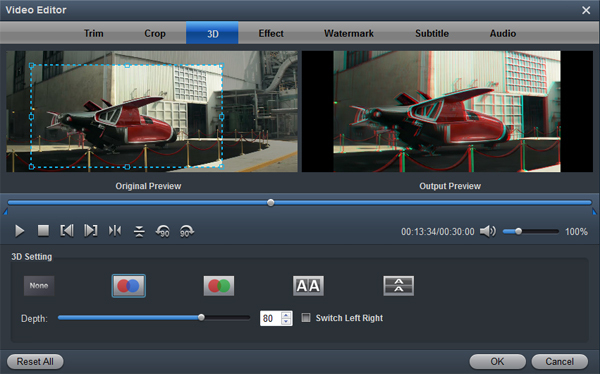 I use Acrok HD Video Converter to convert my 1080P shottings in various formats, and the result is quite good. But I like the ultimate conversion app more.